While on my recent L.A. getaway, one of my besties introduced me to a fabulous migraine relief product. 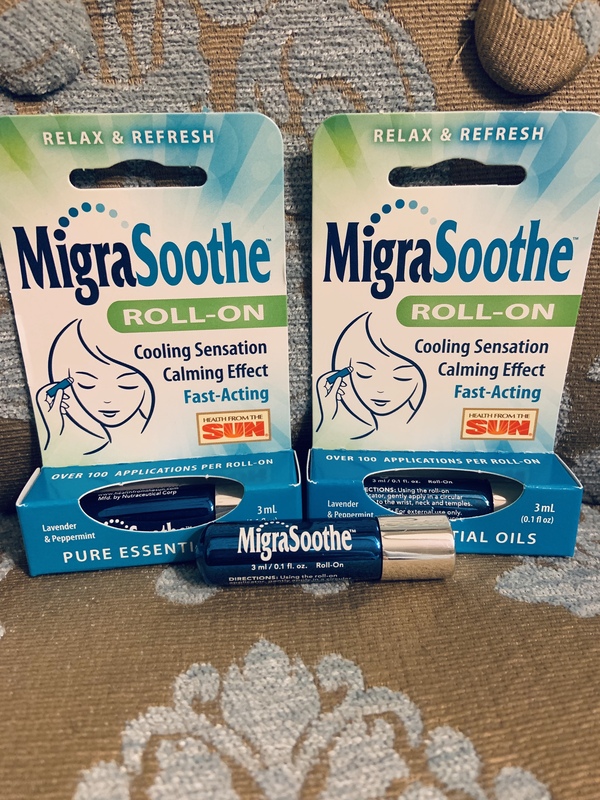 MigraSoothe is a tiny roll-on, which delivers a strong cooling hit of peppermint with a relaxing note of lavender—enough to take the edge off of my chronic migraines. I ordered several for Mama and myself and we have been enjoying the cooling tingles on our necks, temples, and wrists. Today’s #OneGoodThing was sharing this wonderfully soothing and relaxing pain relief with Mama. Many thanks to Alyssa for sharing the awesomeness of MigraSoothe with us!!! What was your #OneGoodThing today? Please share in the comments! Day 87 of 365. And Day 1,183 in a row (here’s the first 366, & the following 365, & the third year of 365 good things)! 3 years ago today: Ugly, but so tasty – best potatoes ever!